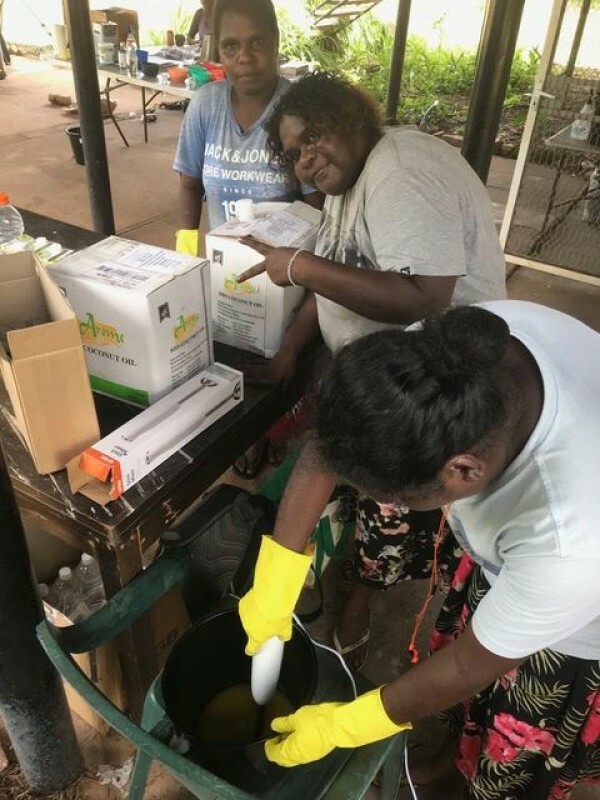 Women in Gunbalanya have been engaging in different activities with the support of Dreamtime Solutions. Recently, the ladies’ activity was moved to a new venue, thanks to the support of DEMED for the space and RISE with the help in the move. In the new space, the participants will continue to sew, creating bags and cooking in an actual kitchen. 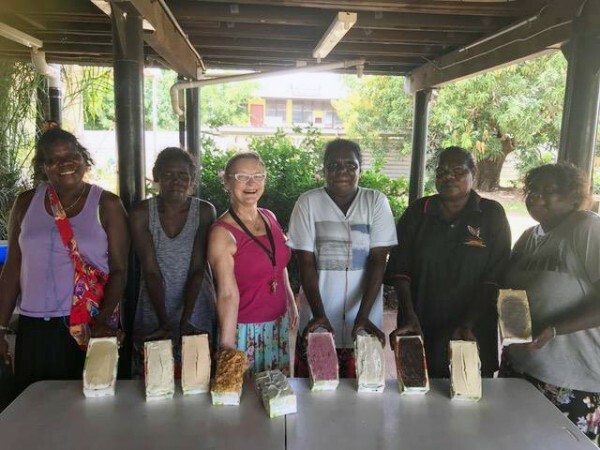 They have also been learning the art of making soaps recently with support from ‘One Disease’ - whose primary focus is to rid Crusted Scabies amongst all Indigenous communities Australia-wide. This was a huge success and has created great interest. Cushion covers out of Injalak fabric are currently on the drawing board amongst other items in the not too distant future - watch this space.